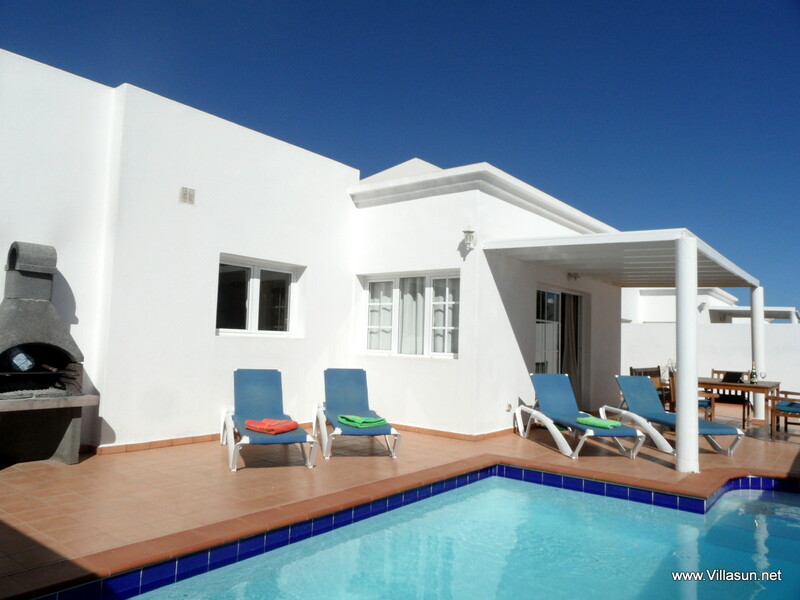 Our Lanzarote villas that speak for themselves. One of the most important choices you make when planning any holiday. Is picking exactly where to stay. The compromise between privacy and convenience. Is always something to consider. Why not have both. 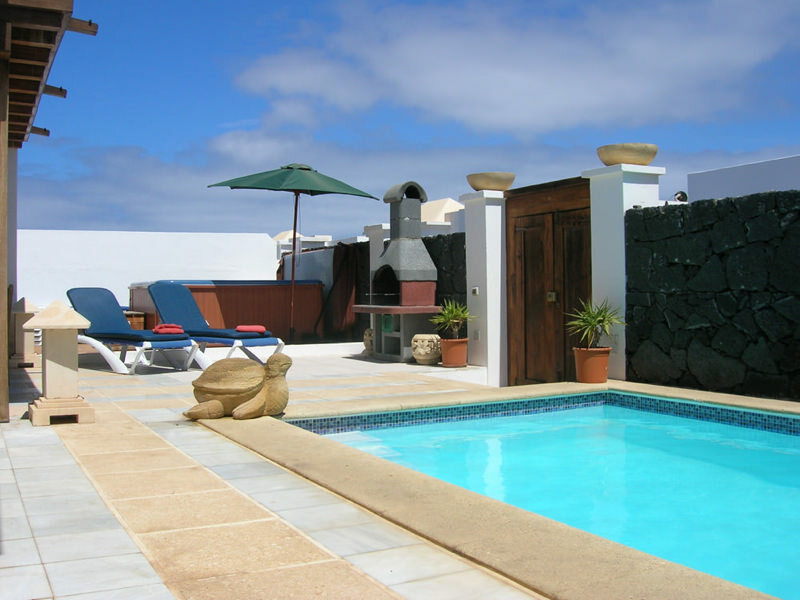 Relax in the lap of luxury with one of our spectacular Lanzarote villas. 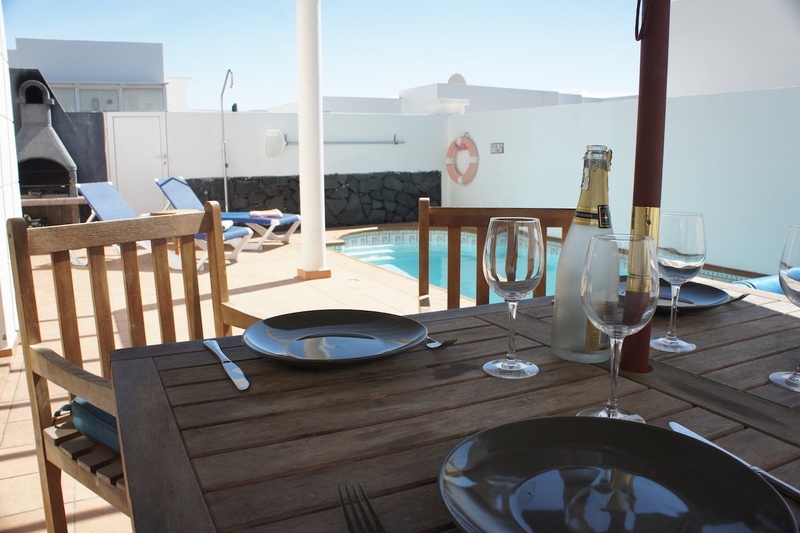 Selected for their perfect locations around the stunning resort of Costa Teguise. You can be safe in the knowledge that you will have peace and quiet without being miles from the beach. 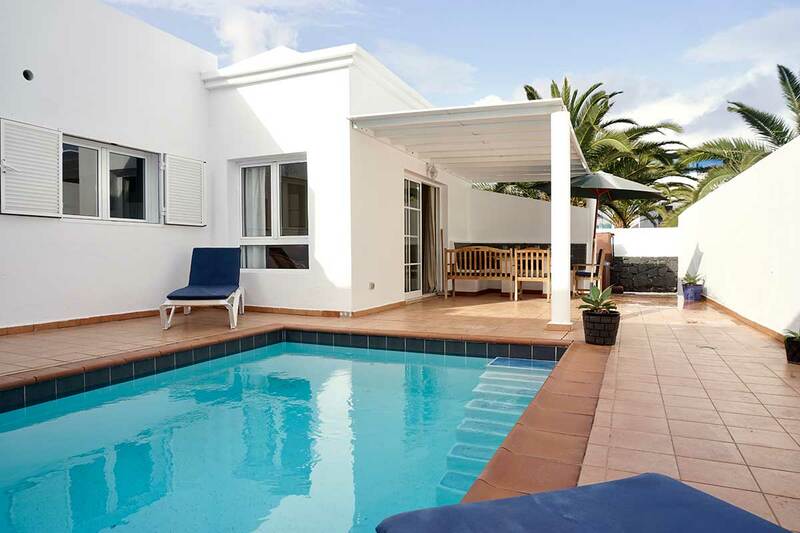 Each of our Lanzarote villas and the town house are finished to a high standard and boast several great features to help make sure you have the perfect holiday. 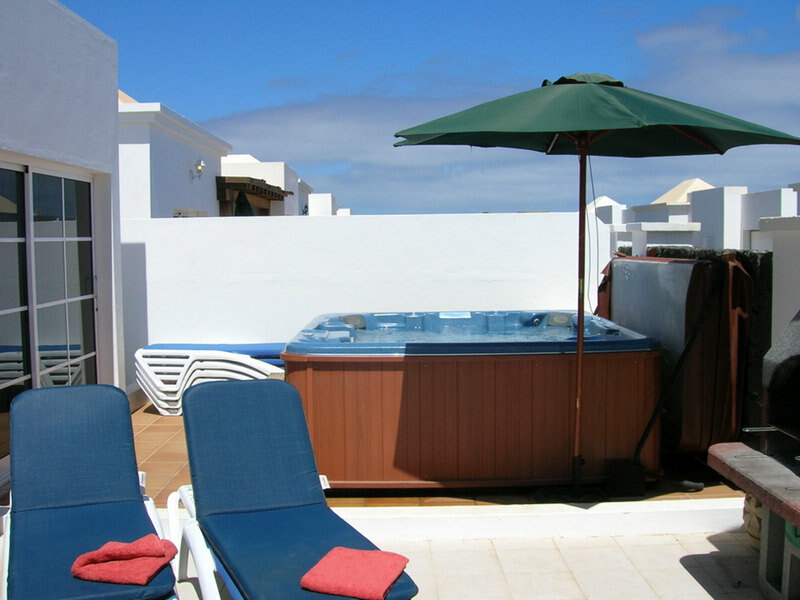 With a choice of 3, 4 or 5 bedrooms our villas. UK-fitted kitchen. Washing machine. Dishwasher. Living area with TV and English speaking channels. A free Wi-Fi service. 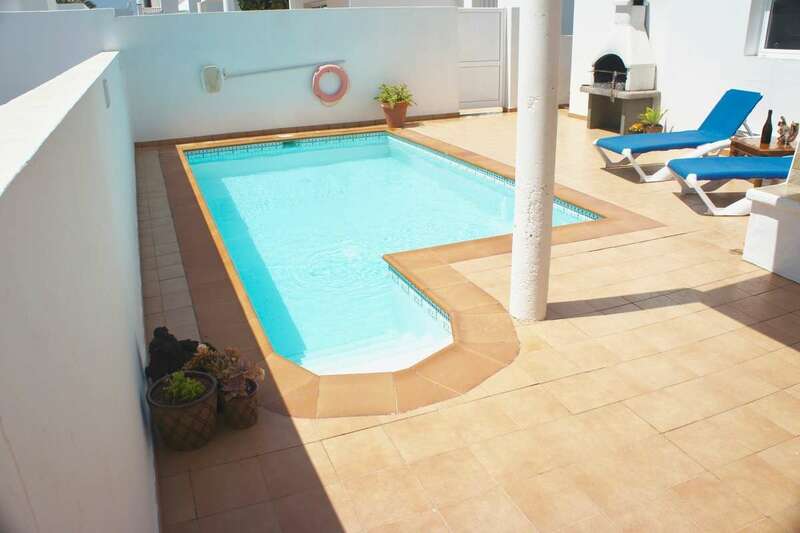 Lounge outside on a sun bed by your own private and fully-heated pool. All year round warmth provided by solar and mains powered back-up. 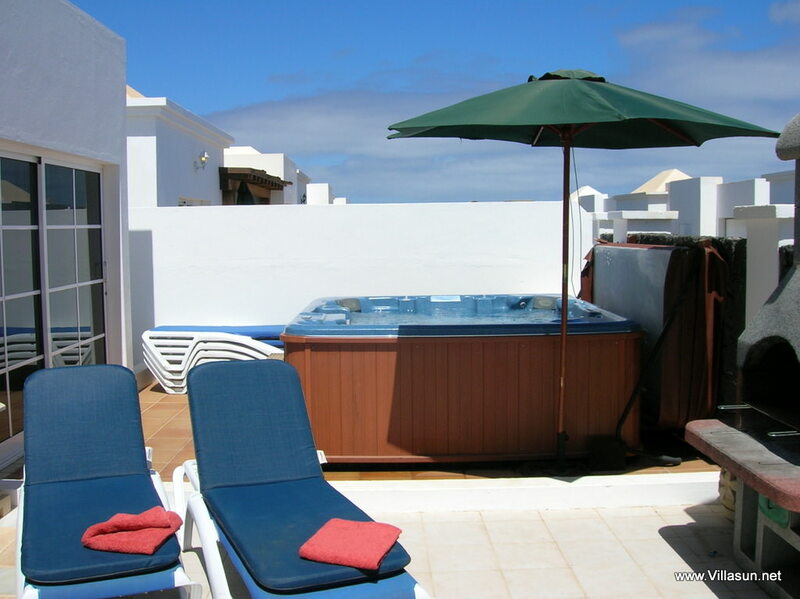 In the evening fire up the BBQ and relax in our optional Jacuzzi. Our locally based staff are a UK Spanish speaking couple. Who will provide a welcome pack upon your arrival. Comprised of wine. Cold beer. Snacks. We want to ensure that when you arrive after your journey you can immediately start to unwind. We also provide free beach towels. Villa towels. Along with hair dryers to help you keep the weight of your luggage down. Leaving more room in your bags for souvenirs! 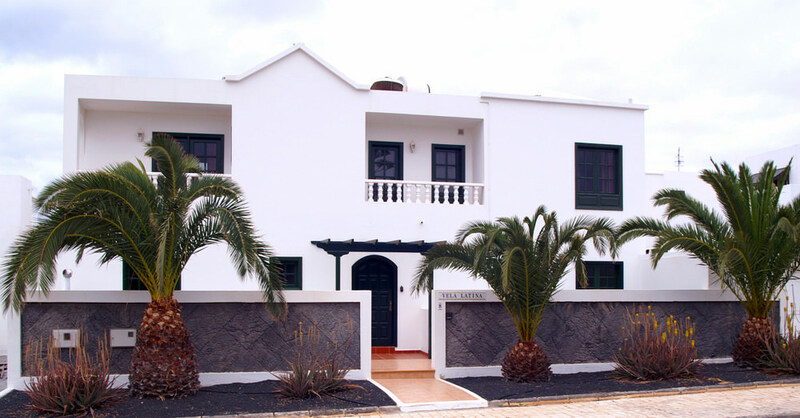 Our Lanzarote villas are built on private developments. Affording you the maximum in privacy. 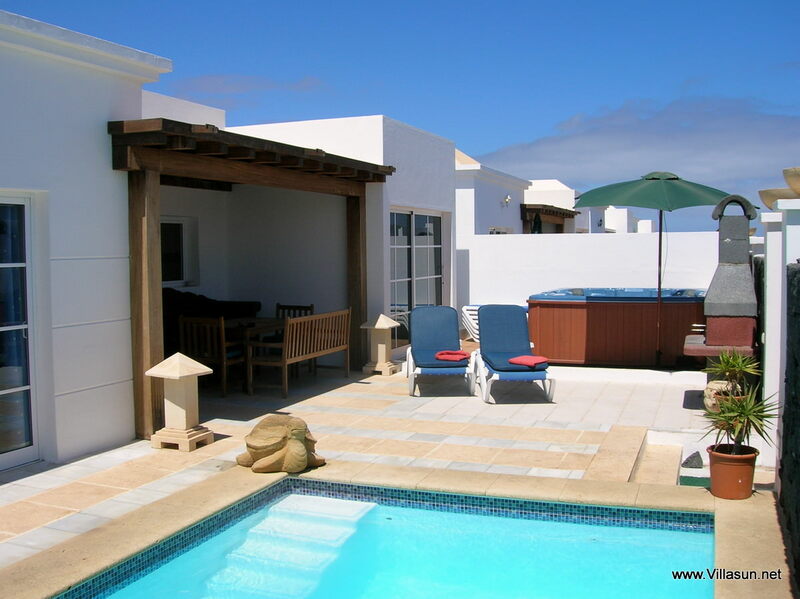 The 3 and 4 bedroom bungalow villas and the larger 5 bedroom villas are all set back from the town house complex but remain central to Las Cucharas. The main beach in Costa Teguise. It takes as little as 3 minutes to get from the villas to the beach. 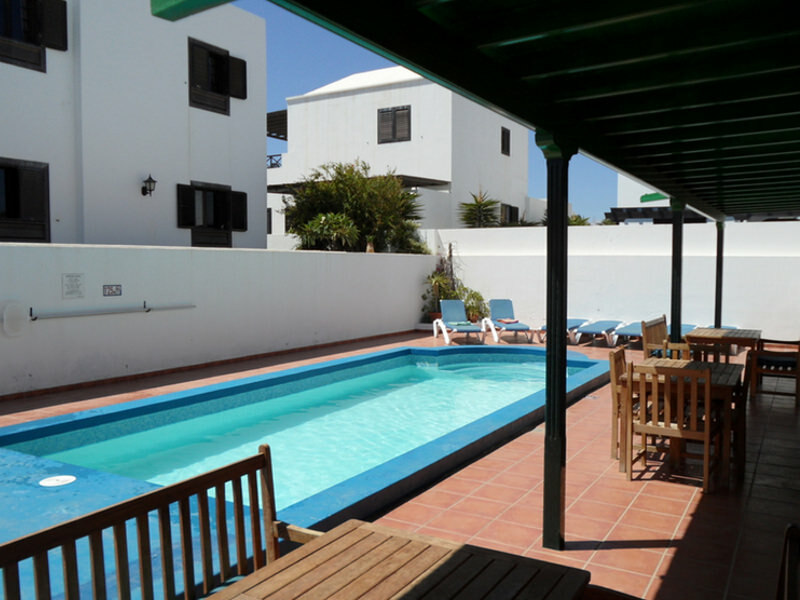 The town house is in an enclosed complex directly opposite the main resort beach. Is a genuine 2 minutes gentle walk. 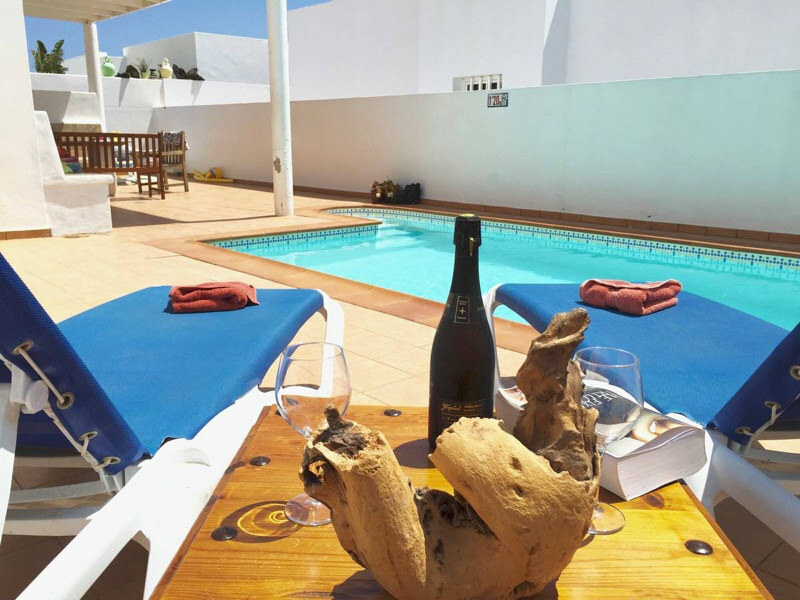 If the sandy beach isn’t for you there’s patio seating and sun loungers which look out onto the picturesque shared pool. 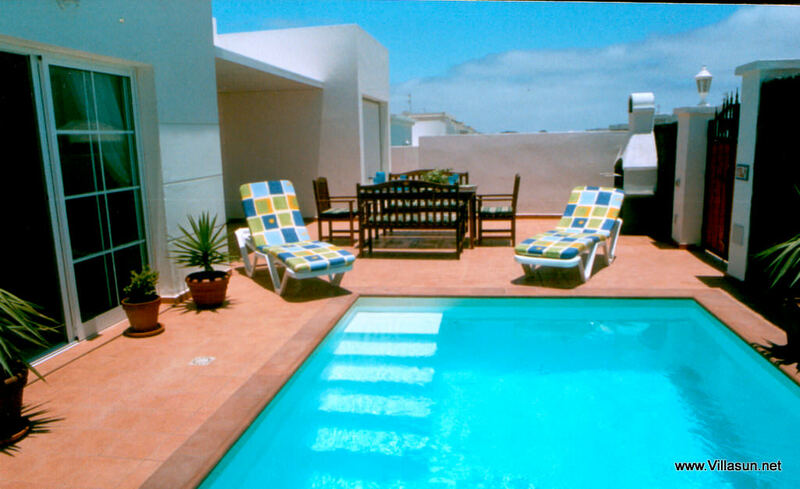 Thanks to the fantastic locations of our villas and town house there’s no need to hire a car. 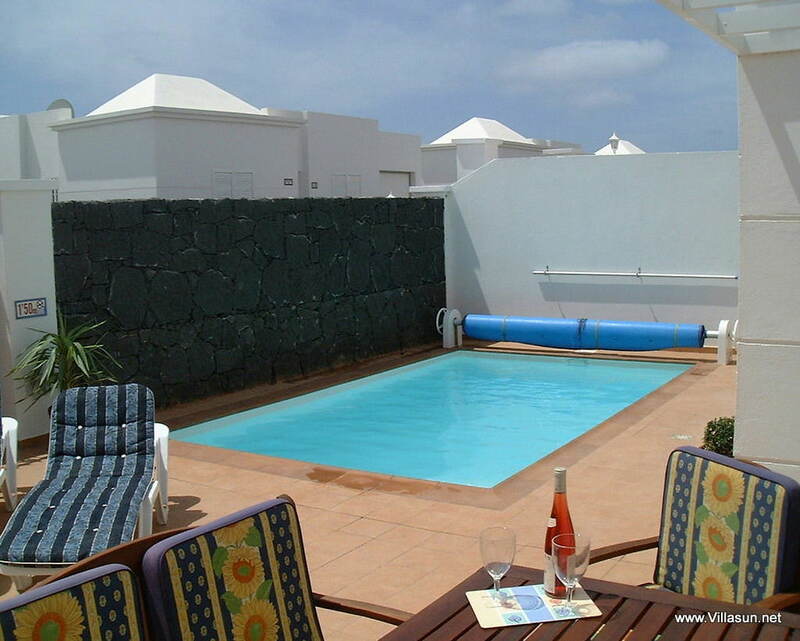 However, for the more adventurous of you who want to explore more of the beautiful island of Lanzarote. There is free parking is available outside all of our villas. 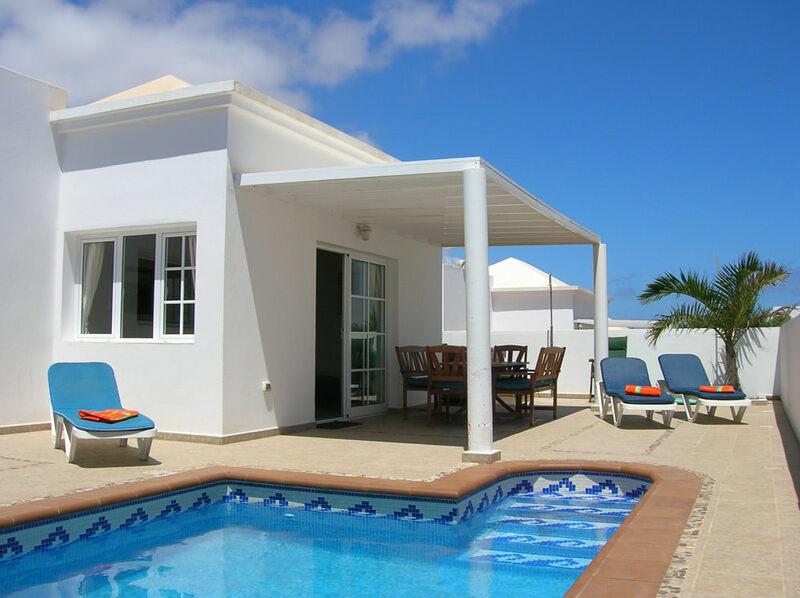 These 4 bedroom properties enjoy the same private road location as our 3 bedroom style villas, identical detached bungalows, but 4 full bedrooms for that slightly larger party sleeping 8/9. Again a short 3 minutes stroll to the main beach. Along the same walk are the first of the resorts restaurants and late shops. When we quote distanced by the way we do not mean at an Olympic pace run.! Not to disappoint when my smaller 3 bed properties are fully booked we offer a same price upgrade from the 3 bed villas into these larger properties. 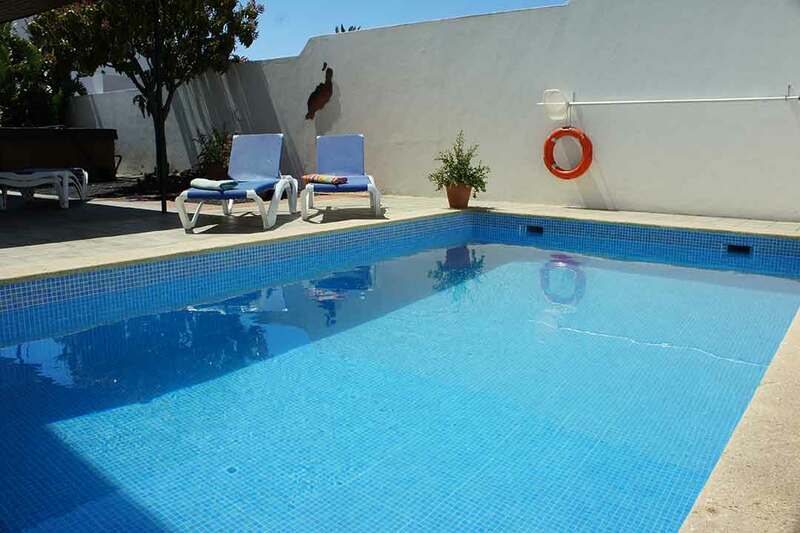 These substantial villas offering large fully heated pools, 8 person Jacuzzis and villa games rooms and are again located on a private no through road. Set back from our 3 & 4 bedroom properties but again 4 minutes from the main beach. Made for the larger extended family or for that smaller party that wants extra space and luxury.